Ahead of a new global marketing campaign launching later this year, Dubai’s Department of Tourism and Commerce Marketing has debuted a new brand for the destination. 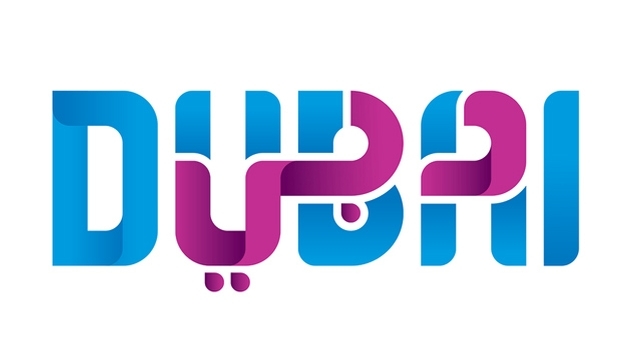 The new logo, launched last week at the Arabian Travel Market, features the word ‘Dubai’ written in both the Arabian and Roman alphabets, reflecting the city’s rich multiculturalism. Announced by His Highness Sheikh Mohammed bin Rashid Al Maktoum, Prime Minister and Vice President of the UAE and Ruler of Dubai, the brand will be used by government departments and bodies, ensuring that the emirate speaks with “one voice” to its citizens and visitors. His Excellency, Helal Almarri – Director General of Dubai’s Department of Tourism and Commerce Marketing (DTCM), said, “The objective behind the launch of the unified brand for Dubai is part of the unified marketing efforts of the city under one name and one identity – Dubai. The new brand is based on the proposition that Dubai is a city where remarkable things happen. His Highness Sheikh Mohammed bin Rashid Al Maktoum, UAE Vice President and Prime Minister and Ruler of Dubai, has stated that in the UAE there is no such thing as ‘impossible’ - Dubai’s growth and success have been based on this spirit of challenging the norm, rising to any challenge, and achieving the unprecedented. From the creation of Mina Rashid in the late-1960’s to the building of the world’s tallest tower, Burj Khalifa, and of course winning the bid to become the host city for Expo 2020, this spirit has led to a series of remarkable achievements and this is echoed throughout the tourism experience. Issam Kazim, CEO of the Dubai Corporation for Tourism and Commerce Marketing said, “The new logo features the word ‘Dubai’ written in both Arabic and Roman alphabets, representing the fact that the city is a fusion of cultures and nationalities – a result of the historic and present day approach of being outward looking and open to ideas from across the globe. But the new brand is much more than just a logo – it is a new way of talking about Dubai and a new way of looking at how we will provide value for investors in and visitors to Dubai. It expresses Dubai’s culture and the wise leadership and vision of His Highness Sheikh Mohammed bin Rashid Al Maktoum, Vice President and Prime Minister of the UAE and Ruler of Dubai. It conveys a message that Dubai is a place where amazing things happen.